Once upon a time, this report, originally called “More than 16 tuners in the home,” was the go-to source for people wanting to upgrade their DIRECTV systems past what most installers would do. It became an essential part of any good technician’s toolbox. By January, 2019 over 200,000 people downloaded this PDF. With the release of DIRECTV’s SWM-30 multiswitch and Reverse Band LNBs, it’s gotten easier than ever to upgrade your system. Our new, revised and updated fourth edition is available now and shows you how to get more than 16 tuners in the home (or office) … A LOT more! It’s been updated to show proper wiring for up to 104 tuners and if that’s not enough for you, it even gives you instructions on how to exceed that! This document is designed for DIYers want the best possible experience from a DIRECTV satellite system. Sure, AT&T’s Genie 2 DVR is enough for a lot of people, but if you find yourself wanting more than 7 rooms, or wanting to integrate over-the-air channels into your guide, you’ll want to do a custom design for yourself. 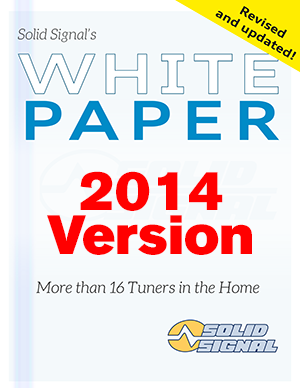 Commercial installers have downloaded this guide tens of thousands of times, too. I would recommend that any commercial installer look into SBCA training for D2 certification, but this guide will help you with the basics and often times that’s all you need. It’s a good first step toward knowing what you will and won’t need to know. It’s also a great guide for facilities managers who don’t need to do installations. If you only need to know what equipment you have, you’ll love this guide. It’s full of pictures that make identification easy. How much does all this info cost? This ultimate guide has always been 100% free. Since its first publication in 2012, it’s been out there for everyone to use. Solid Signal has sponsored it so that our customers know their options. Yes, it’s true that there are a lot of links to Solid Signal products. I hope you’ll use them. Personally I think it’s great when a company cares enough to make a tutorial like this available. You’re free to download and redistribute this PDF as much as you’d like as long as you don’t change it. That includes keeping all the links intact. Share it with the rest of your team or just make printouts of what you’ll need. The document’s in PDF format, which makes it easy to view or print on any device. Unlike other formats, PDF files let you zoom in to almost unlimited levels. Some of the photos may seem fuzzy, but the diagrams can be enlarged 1000% or more without any change in quality. That’s important when you’re looking at a large install. 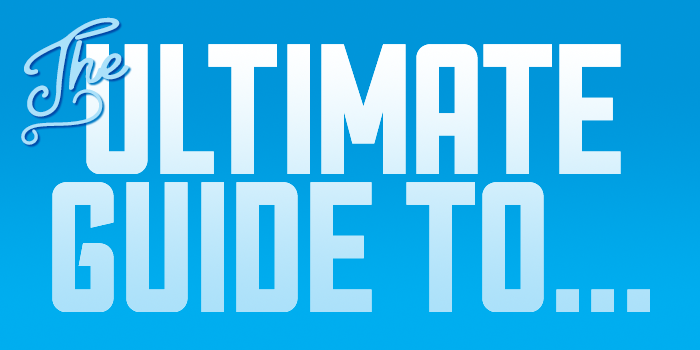 Which ultimate guide do you need? For those who are still using the SWM-8 and SWM-16 multiswitches, choose the older 2014 version, shown below. 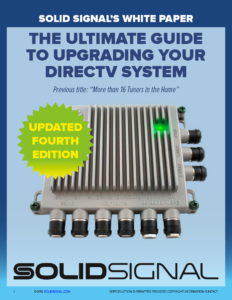 For those who want the ultimate power, download the all new version to find out how easy it is to upgrade your DIRECTV system! NICE AND EASY: DIRECTV Easter Eggs? Should you upgrade your DIRECTV equipment?